Happy Skin Hair Growth & A Healthy Heart: Here Are ALL The Reasons Why You Need To Eat Plums! With summer around the corner, the season for sweet, juicy fruits like plums are back. Belonging to the Rosaceae family, plum is a sister fruit to peaches, apricots and nectarines. Known as aloo bukhara in Hindi, plum is one of the only fruits that comes in a variety of colours - both on the inside and out. But they aren’t just beautiful to look at. The benefits of eating a plum are more than you could have ever imagined. From various skin benefits to health benefits, the nutritional content of plums can do wonders for your body. Plums contain a wide variety of healthy components, vitamins and minerals. They are an excellent source of vitamins such as vitamin A, vitamin C (ascorbic acid), vitamin B1, B3, B3, B6, folate, vitamin E and vitamin K. Also, the minerals present in them include iron, calcium, zinc and magnesium. Since they are low in calories and high in dietary fibre, the fruit contains no harmful fats making it the perfect fruit for those on a diet. No Sign Of Aging: With vitamin E and antioxidant beta-carotene, plums protect the fatty acids and the cell membranes from free radicals. This helps fight early signs of ageing skin like loss of elasticity and wrinkles. Also, other antioxidants present in plum as well as it’s anti-inflammatory properties increase circulation promoting the elasticity of skin which helps keep wrinkles and acne away. Reduces Scars: Scars can be unsightly and make you conscious. Plums can reduce the appearance of these scars by increasing the blood flow to the scar tissue. It also helps in blending the new skin that develops over the scar. Increases Collagen Production: Consuming plums on a regular basis, whether as a fruit or as juice, boosts the production of collagen. A deficiency of collagen can make your skin dull and lifeless and with plums, you can improve your overall skin health and rejuvenate it. With a high content of vitamin C, there is an increased production of hydroxyproline and hydroxylysine, which bind the molecules of collagen, reducing the signs of ageing. Quicker Healing: A unique benefit of plums is that they help to replace damaged tissue with new ones and heal wounds at a faster pace than normal. Since collagen improves the skin’s elasticity, it creates scar tissue at a faster pace than normal. Healthier Looking Skin In Minutes: Not just eating plums but applying them as a face pack also helps improve the appearance of a person’s skin. Applying the pulp of a plum lightens dark spots and treats discolouration. It also reduces freckles and age spots, ultimately giving you the appearance of younger and healthier skin. Stimulates Growth: A major reason for reduced hair growth are free radicals which make our hair weak and brittle. As mentioned above, the vitamin E in the fruit strengthens cell membranes and prevents free radicals thus protecting the follicles of the scalp. That’s why you will have healthy and strong hair if you regularly eat plums. The high iron content also improves blood circulation and repairs the capillaries promoting thicker hair. Reduces Dandruff: Believe it or not, but plums can actually help you get rid of dandruff on your scalp, thanks to the vitamin C content. Dandruff clogs the hair follicles, inhibiting hair growth. Plums can help fight the bacteria on the scalp and ward off dandruff. This will get rid of follicle debris and encourage the growth of new hair. Prevents Hair Loss: Adrenal gland fatigue can cause hair loss. 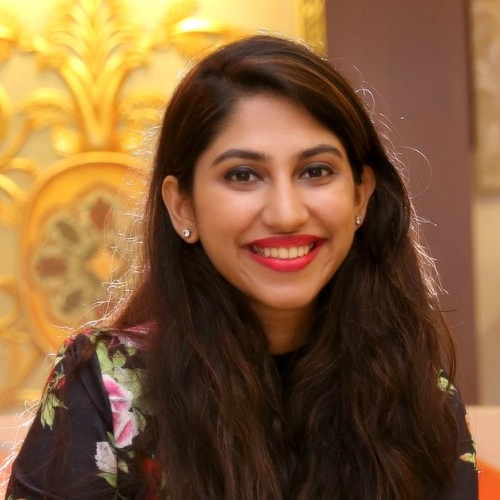 Plums help reverse this fatigue and encourage hair growth since adrenal glands are important in maintaining proper hormonal balance which reduces hair fall. No Alopecia: Male pattern baldness is quite common these days as is alopecia. Plums help treat damaged hair, protect the hair follicles and promote hair growth thus keeping these problems at bay. Protects Hair Colour: The plum is a super pigmented fruit that not only helps prevent hair problems but it also maintains the natural colour of your hair. Eating plums can also prevent premature greying. Your Daily Dose Of Vitamin C: Plums are naturally rich in vitamin C. Vitamin C has multiple benefits, one of them being the protection of cells from free radicals and boosting the body’s immunity system. Vitamin C also reduces the risk of heart diseases making plums an excellent fruit to consume. It’s Good For Your Heart: As mentioned in the previous point, plums are really beneficial for your heart. The antioxidants in plums help prevent cholesterol oxidation, which is a threat to healthy blood vessels and may lead to heart stroke and high cholesterol. That’s why plums are so beneficial in maintaining a healthy heart, especially in people with diabetes. 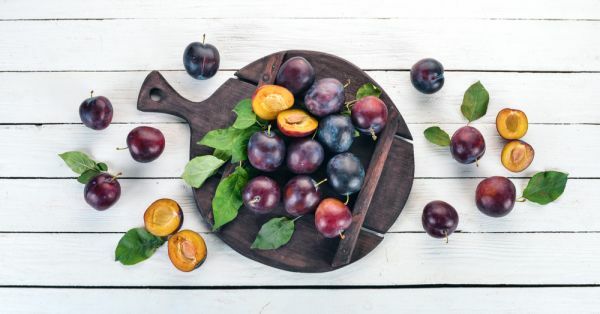 Fights Cancerous Cells: According to some studies, plums have actually been connected to the prevention of cancer, especially breast cancer, due to Anthocyanins, the reddish blue pigments present in them. These pigments do that by mopping up the free radicals in the body. Even the vitamin A found in plums is known to protect from oral cancer. Detoxify The Body: Constipated? Plums may be a natural solution to your problem since they are diuretic and detoxifying in nature. They are laxatives and can help maintain regular bowels. Also, the soluble fibre present in them can help lower the cholesterol level by soaking up the extra bile that is produced in the body and then excreting it. Improves Blood Circulation: Vitamin C works wonders in your body and that’s what make plums such a perfect fruit. These fruits increase the ability to absorb iron in the body which help in the formation of red blood cells. This eventually improves blood circulation in the body and prevents anaemia. Helps Maintain Bone Health: Research has shown that plums boost bone health, especially in post-menopausal women. Rich in phenolic and flavonoid compounds, it reverses bone loss. Also, the presence of boron in the fruit plays a crucial role in the preservation of bone density. Amazing For Weight Loss: This one’s a benefit that’ll have you running towards the fruit basket. Since plums remove toxins and prevent constipation, they help in losing weight naturally. Also, they aid in proper digestion as well as maintaining good metabolism since they are rich in fibre and antioxidants. With the presence of citric acid, it prevents any tiredness in the body and also improves liver function. The list is never ending and this is why it should be a part of your weight loss diet. Immunity Booster: Plums are an amazing way to boost your immunity as they help the body in making healthy tissues and assist in strengthening the immune system. If you’re someone who suffers from recurrent infections, plums will prevent that as well as any cold and flu coming your way! Bye Bye Diabetes: Since plums rank low in glycemic index, eating them can control blood sugar levels and reduce the risk of type 2 diabetes. The phytonutrients in plums help control the release of glucose in the body and regulate insulin. Improves Cognition: Various studies have shown that the flavonoids present in plums are effective in providing protection against cognitive impairment that happens due to age. The phytonutrients present in plums reduce inflammation in neurological areas to improve memory function. Prevents Macular Degeneration: Vitamin A and beta-carotene which are beneficial in maintaining healthy eyesight and preventing age-related degeneration. The carotenoids and zeaxanthin present in them provide protection against the damage caused by UV radiation.